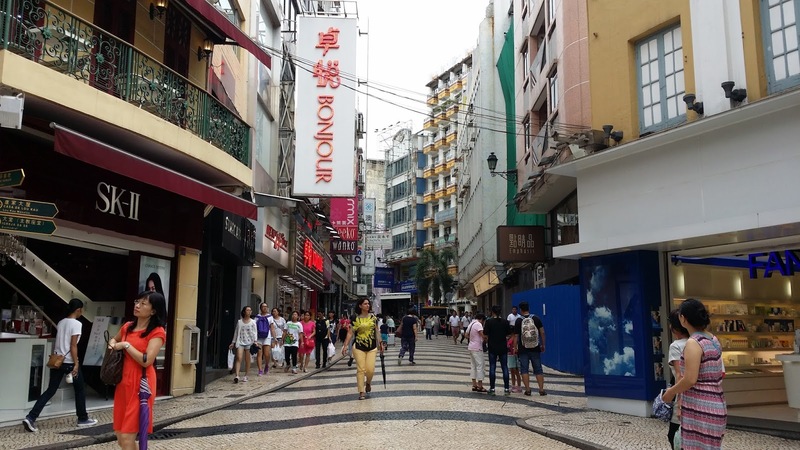 If you are in Macau and dying to see its magnificent Portuguese influence, then Senado Square is the perfect place for you. 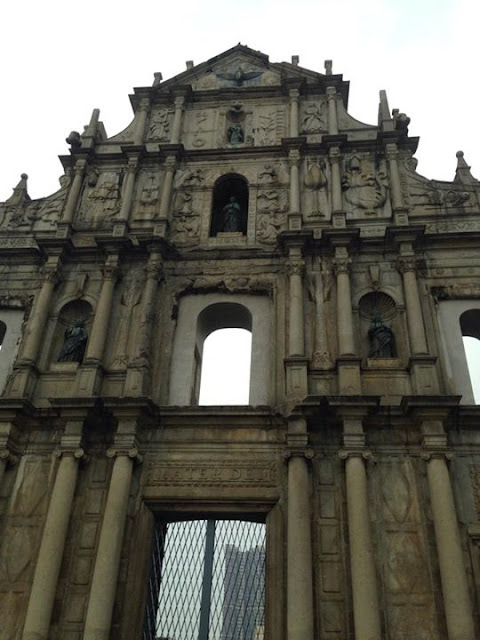 This amazing place showcases the beauty of the old meets new theme that is famous in Macau. 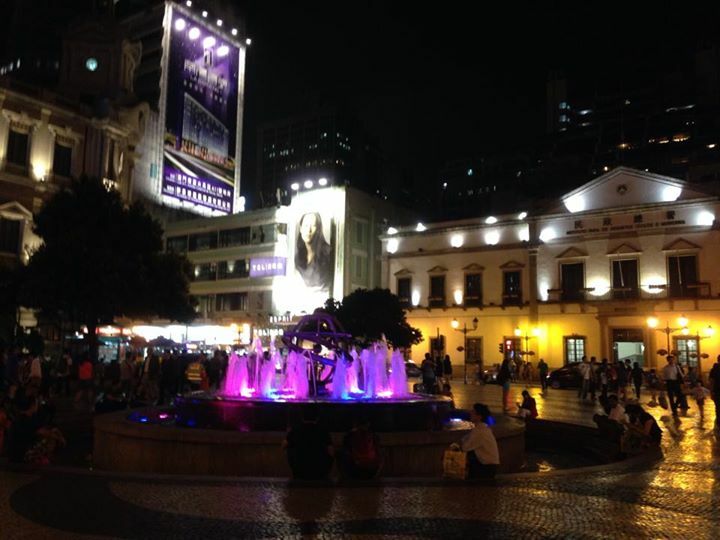 So if you are going to Senado Square, here are some things for you to do. 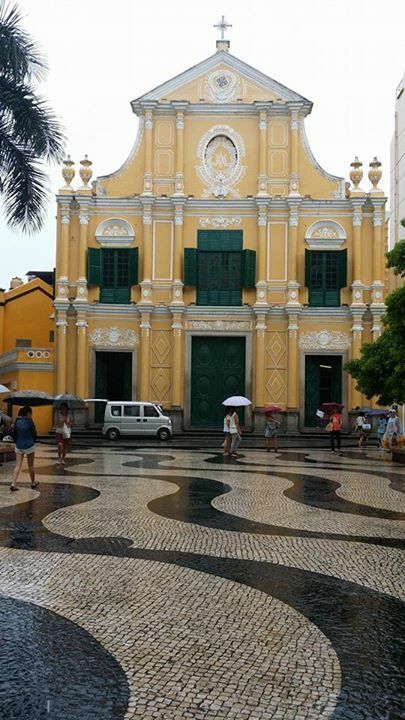 One of the highlights in Senado Square is visiting St. Dominic Church (Sto. Domingo). You wouldn’t miss it because it is the yellow building just right in the heart of the place. If you walk inside, you can see the marvelous altar infront with beautiful statues of Mary and Jesus on the side. 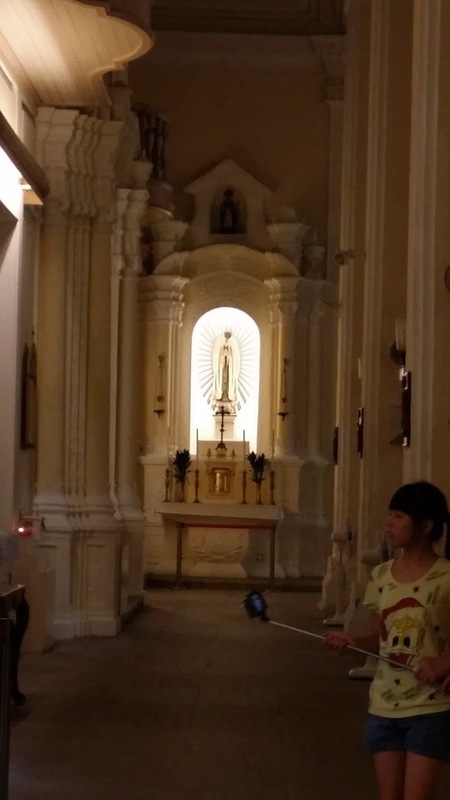 Last week when I visited the church with my mom, it was covered with green plastic due to a series of renovations. But last year I saw the grandeur of Sto. Domingo Church and it is breathtaking in its yellow glow. Just north of the Senado Square, you can explore the St. Paul Ruins (Ruinas de S. Paulo). 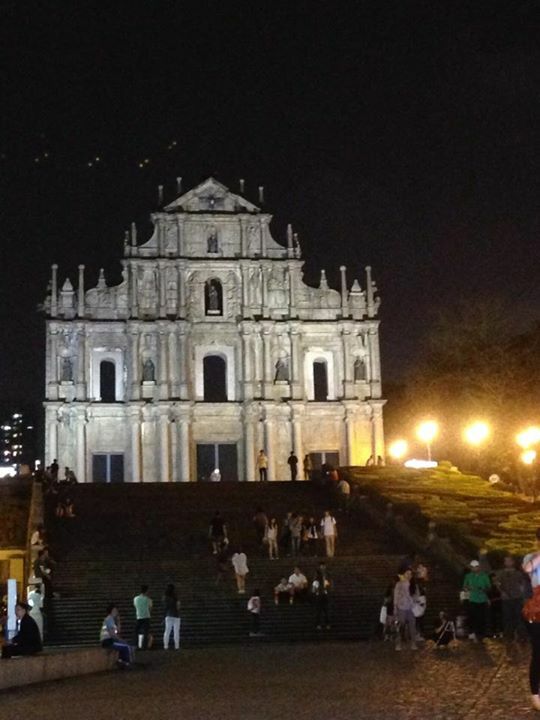 This is a famous landmark in Macau which used to be St. Paul College and Church of St Paul (Mater Dei). Today, the facade of the said complex is the only structure standing. Amazing architectural wonder at its finest! 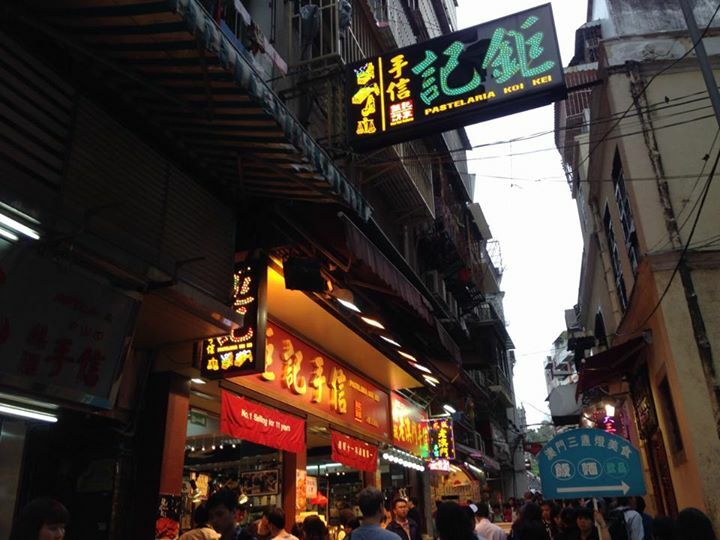 Around Senado Square, you can find Macanese (Macau- Portuguese Fusion), Chinese, and Portuguese restaurants. There are also several food shops which offer Chinese street foods as well as sumptuous biscuits and tarts. There is also a McDonalds around if you want fast food. 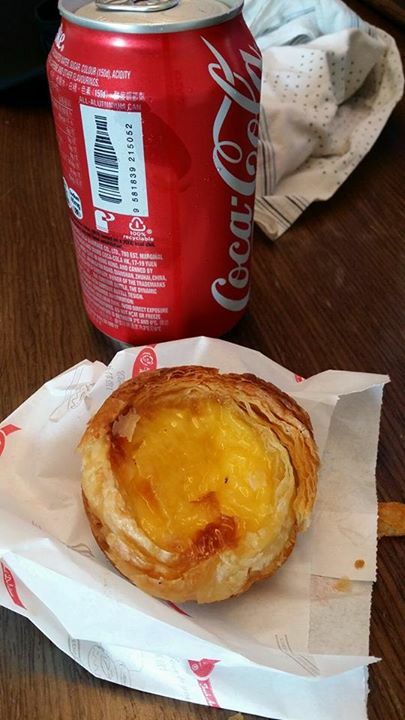 You'll also notice that there are numerous Koi Kei Bakery in Senado Square. 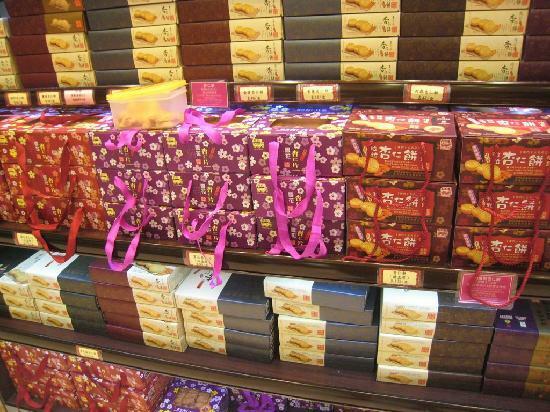 This famous bakery is where you can buy Macau delicacies like egg tart, cookies, candies and even beef jerky. What's great about this bakery is that there are sample plates for every delicacy so you can taste them before buying. 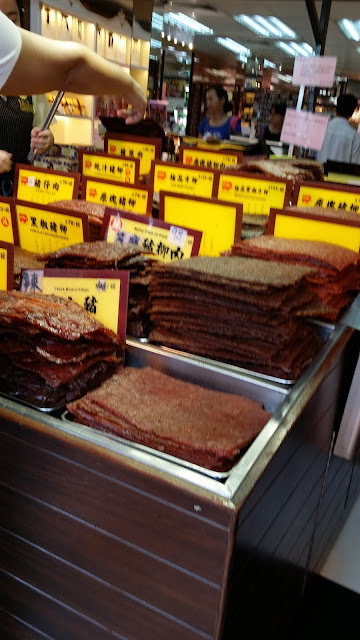 Senado Square is truly a haven for foodies like me. 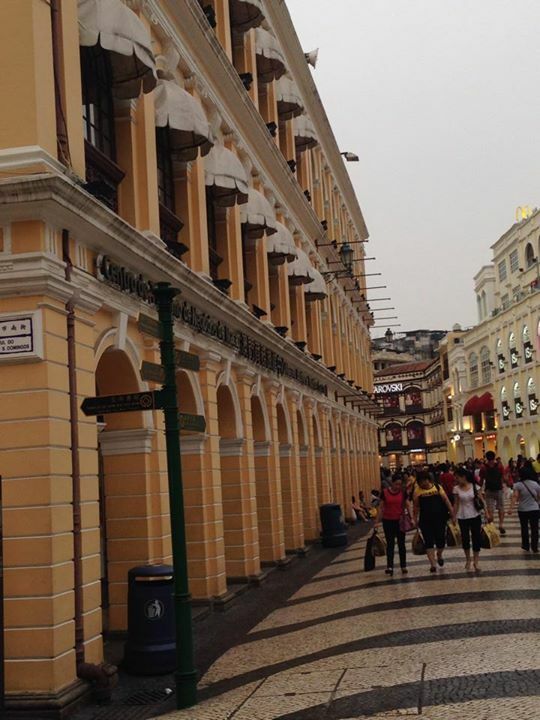 Another amazing activity in Senado Square is shopping. The building around the square is full of stores from clothing and shoes to beauty products, high end boutiques and much more. 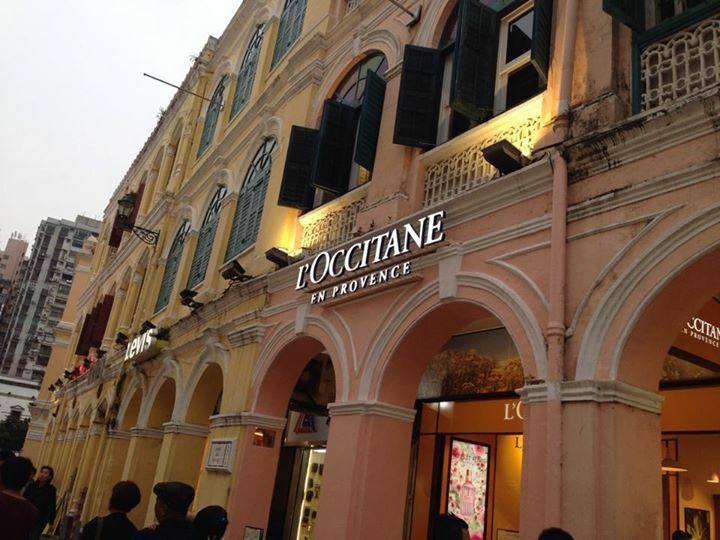 You can see famous stores like Sasa, Nine West, Giordano, Manning’s and many more. So if you are in Senado Square, do not forget to bring more Patacas or your credit cards in case you want to shop till you drop here. There are other sites you can visit in Senado Square. 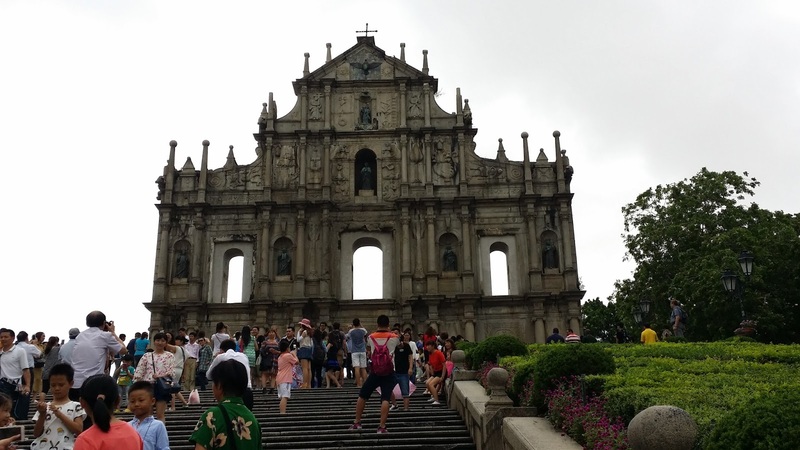 Just east of the square, you can go to Macau Cathedral. 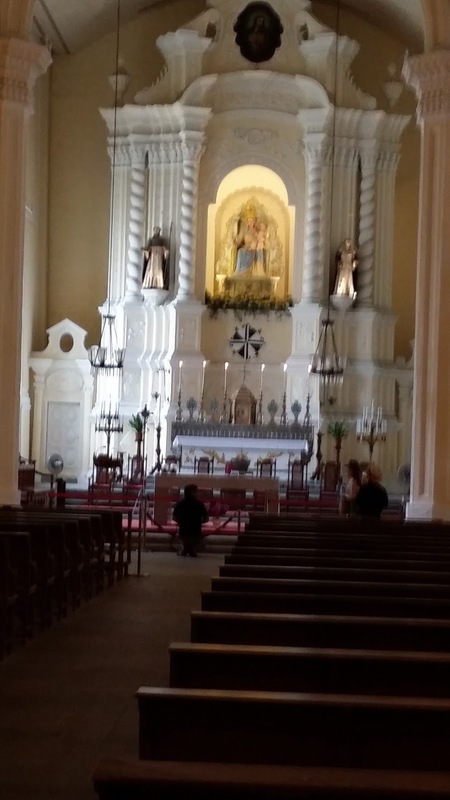 And if you are lucky, you can hear mass there. Last year when I visited Macau, I got the chance to go to mass in the cathedral. 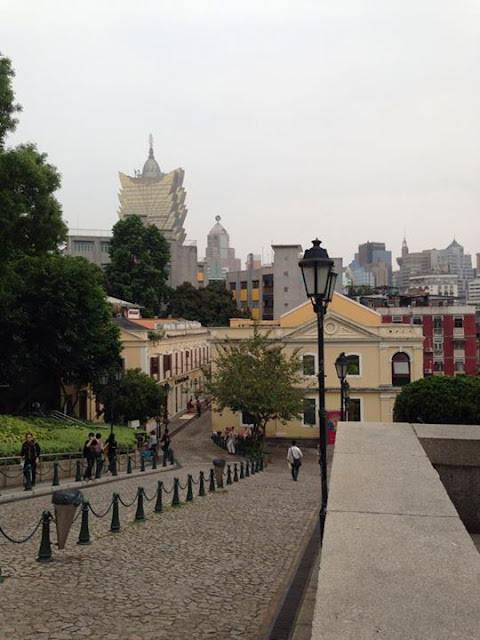 Another wonderful place to visit in Senado square is the Macau Museum just east of St. Paul Ruins. If you are a history buff, then this place is a must see for yourself. Also, take a picture of its remarkable fountain at the front as well as a walk in the wave patterned mosaic of colored stones all over the square. So there you go! These are some of the things you can do in the great Senado Square. 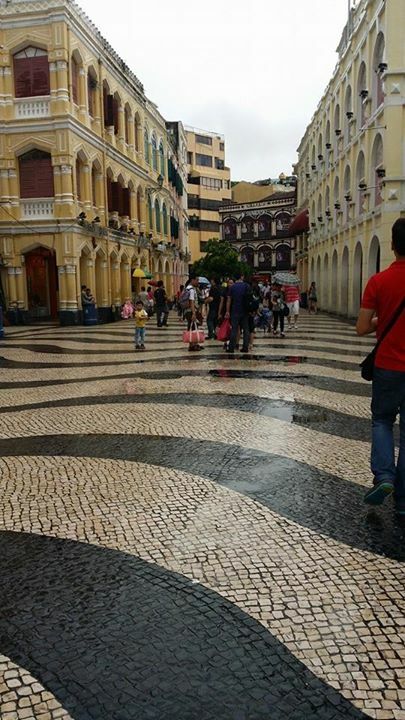 So if you are going to Macau, I recommend that you visit Senado Square. Trust me you will be amazed!